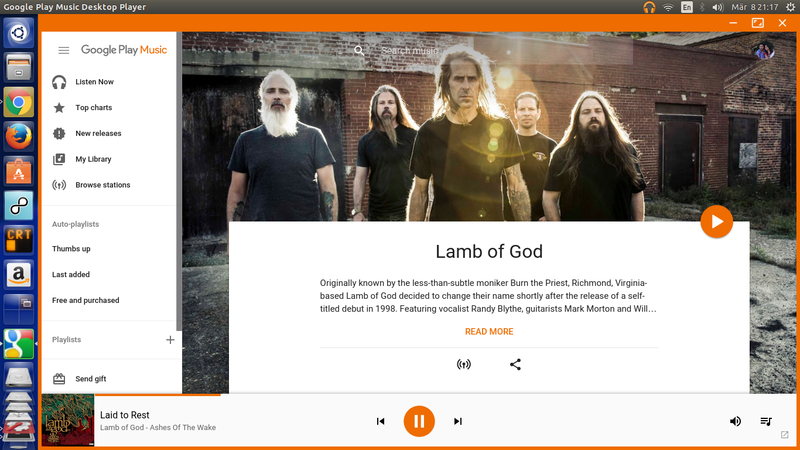 Google Play Music Desktop Player (GPMDP) is a brilliant new open-source desktop based client for Google Play Music. GPMDP is cross-platform and has just recently released 32 and 64 bit builds for Linux. 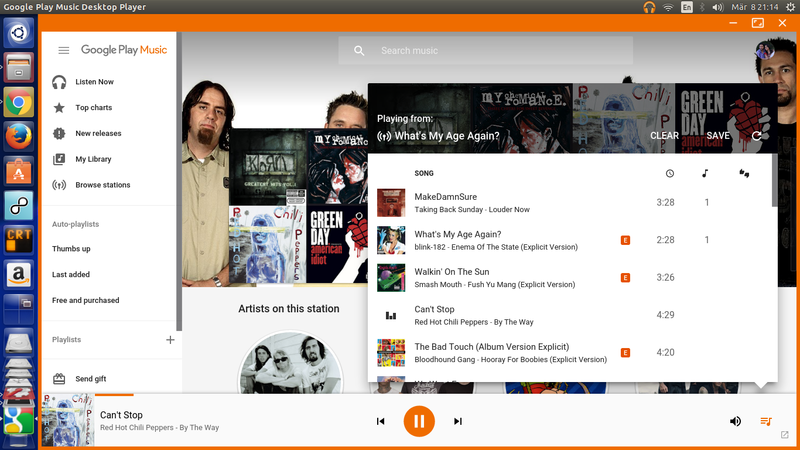 How about a desktop based client for Google Play Music that is less resource hungry than its web counterpart? Well, that's GPMDP in a nutshell. The player is HTML5 based and requires no Flash. There is Last.fm integration and there is even a neat implementation of hands-free voice controls (experimental). Having been playing around with this cool little player for the better part of the day, I have to say I'm impressed! GPMDP is seriously lightweight as advertised and it frees up your browser resources big time. And it is definitely more faster and responsive than my browser tabs. And like a lot of other native Linux apps, it minimizes to tray by default when you hit the close button. The mini player also works just great. Another big plus is the media key support. From what I have tested, all my media keys are working without any need for tinkering. Additionally you can assign hot keys for specific actions in the GPMDP settings. Last.fm scrobbling though, hasn't worked properly yet in my installation. All in all, if you are a Google Play Music user, I would strongly recommend GPMDP over Nuvola Player any day. As we mentioned earlier, the app is cross platform and supports Windows, Mac OS X and Linux (32/64 bit builds) platforms. Download links here: Google Play Music Desktop Player. If you are into more traditional music players, here is a list of Linux's most good-looking music players. Do share if you like and thanks for reading.